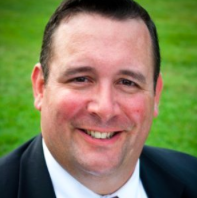 Justin Clark, a Republican lawyer from West Hartford who was deputy national political director of Donald J. Trump’s presidential campaign, was named Thursday as a deputy assistant to the president and the White House director of intergovernmental affairs. The appointment is good news and bad news for the administration of Gov. Dannel P. Malloy, a Democrat who is attending the inaugural Friday: A Connecticut guy will be a key contact in the White House, but he is someone who managed the 2010 campaign of the governor’s GOP opponent, Tom Foley, and was an adviser on the 2014 rematch. “The Office of Intergovernmental Affairs serves as the front door to the White House through which local, county, tribal, and state governments can participate in and inform the work of the President” was how the Obama administration described the function. Clark is a partner in the law firm of Davis Clark & Bonafonte. He is a graduate of Wesleyan University and the University of Connecticut School of Law. Trump won the Connecticut presidential primary in a landslide, though one of the few communities he lost was West Hartford. Trump has named one Connecticut resident to a post with cabinet-level rank: Linda McMahon, the co-founder and former chief executive of WWE, the wrestling entertainment company, is his nominee to run the Small Business Administration. Clark’s appointment was one of more than a dozen White House staff jobs announced Thursday.